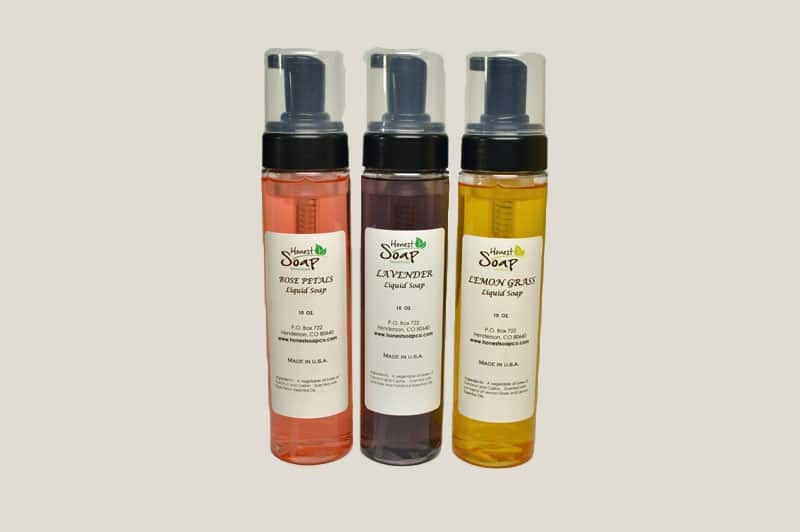 Detergent and chemicals-free liquid soap is gentle on your body and hands. 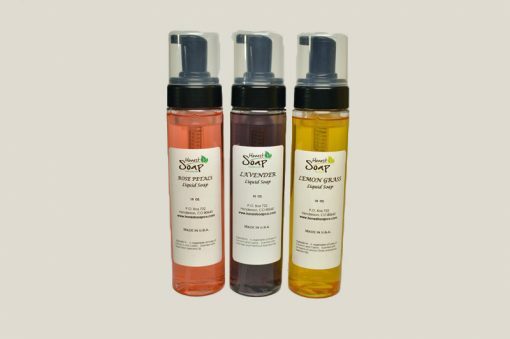 Our Liquid Soap is handcrafted with castor and coconut oils and scented with pure essential oils. When used, a long-lasting aroma lingers in the air. It’s beautifully packaged in a 10 oz. plastic bottle with a foam pump. Please be aware that due to the nature of all-natural liquid soap, you may have to rinse the tip of the air pump in warm water once in a while. The reason is the absence of chemicals, detergents and synthetic ingredients. We will continue to provide you with the high quality natural ingredients and customer service you deserve. Watch the following video to see the rich lather and the foaming action.